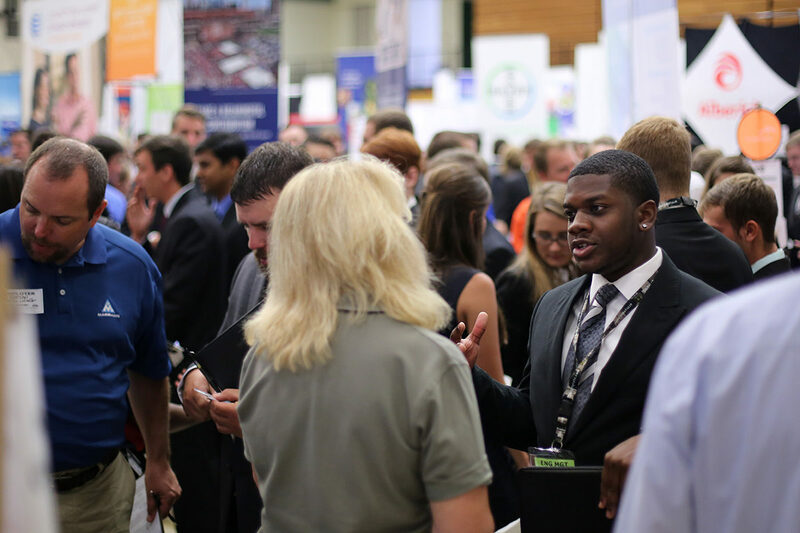 Career fairs are held during the fall and spring semesters at Missouri S&T, but employers visit the campus year-round for interviews. This semester, 140 rooms have been reserved for on-campus interviews. A total of 1,471 different employers are recruiting from Missouri S&T this spring, which is a 29 percent increase from last spring. And 5,182 jobs have already been posted online by the career opportunities and employer relations (COER) department at S&T. Multiple positions may be included in one job posting. Missouri S&T students looking for full-time employment, co-op and internship experiences are registered with COER. The average starting salary for undergraduates with Missouri S&T degrees is over $66,000. The average starting salary for graduate students is over $80,000. The Career Fair is open to Missouri S&T students and alumni between 9 a.m. and 3 p.m. Tuesday, Feb. 19. Missouri S&T faculty and staff are allowed to attend 8-9 a.m. or 2-3 p.m.
For more information, contact career opportunities at Missouri S&T at 573-341-4254 or email career@mst.edu.